Miss. Highway 6 is stamped by strong scenic contrasts, the result of varying soil types. It rolls down from the southern slopes of the Tennessee River Hills to cross the Tombigbee River into the Black Prairie Belt, then climbs the crest of the Pontotoc Ridge to follow the cut-up surface of the North Central plateau. Entering the Delta at Batesville, the route follows snaky rivers and bayous past flat, far-flung cotton fields into Clarksdale, cotton center for this region. Clarksdale is typical of the thriving Delta towns that are surrounded by white cotton fields and humming gins. Farmers for miles around bring their cotton to Clarksdale for ginning and marketing. Marks, 16 miles east of Clarksdale, is where the highway crosses the Coldwater River, which often floods the surrounding area in a time of high water. At Batesville, farther east, Miss. 6 junctions with U.S. 51, which leads to Jcckson, Capital City of Mississippi. North of Batesville on U.S. 51 is the Sardis dam and reservoir, largest earthen flood control dam in the world. Oxford, half-way point on highway 6, is located on a small wooded plateau overlooking the snug valleys of the Central Hills. 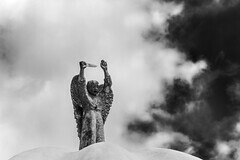 Here, traditions of the Old South are maintained to a degree not usually followed by most ante-bellum towns in the State. Hidden among the beautiful cedar, magnolia and oak trees are many charming colonial homes, centers of the cultural life that Oxford fosters. 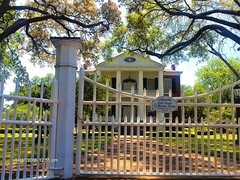 Most of the town’s social and cultural life centers around the University of Mississippi, located here. 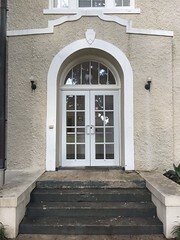 Among the many historically interesting homes and buildings are the home of William Faulkner, famous Southern novelist and short story writer; the home of L.Q.C. Lamar, noted Southern leader in the United States Senate; the law office of Senator William V. Sullivan and the Old Opera House. Pontotoc, where Miss. 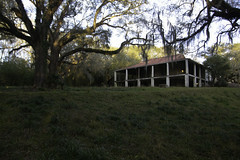 6 climbs into the rugged hills of eastern Mississippi, is well known in Mississippi for its individualistic atmosphere. Formerly the center of the Chickasaw Indian territory, Pontotoc has a colorful past history. Among the interesting sights found in this quaint community are the Chickasaw College, the Jack Fontaine Home, the Turner Thomason Home, the Frank A. Clark Home and the Captain Bolton Home. Tupelo, where Miss. 6 junctions with U.S. 45, is a modern, progressive town with many unusual features to attract the cross-state traveler. 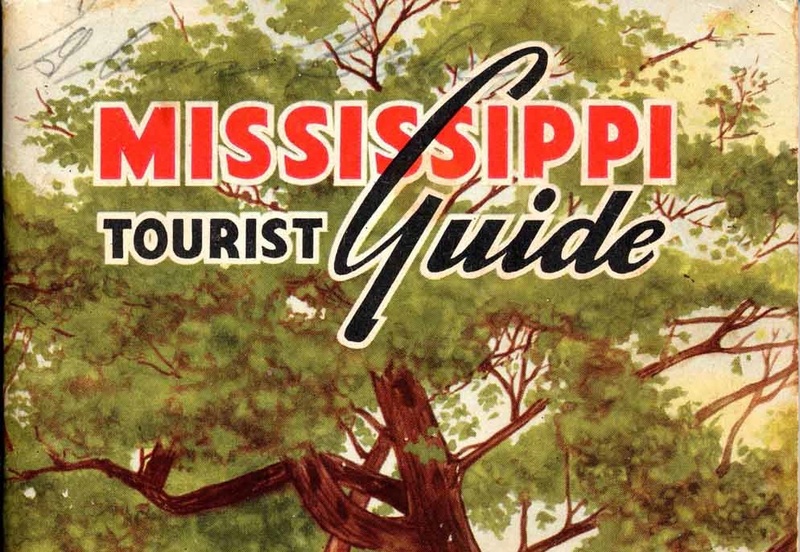 More about Highway 6 and other Mississippi highways . 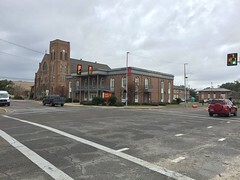 . .
Suzassippi’s Mississippi: What does the First Baptist Church in Pontotoc have in common with the First Methodist Church in Batesville? That was just a reasoned guess because I think it was one of the early land grant colleges, wasn’t it? Of course they would leave it off the list. And I love the Milam school building. What is the building in the distance of 6 passing through campus? And why would you want a state highway through the middle of your campus? It doesn’t really run through campus so much as it runs alongside the southern edge of campus. What is there now is the sports complex part of the campus where there are not any historical buildings now if there ever were any. That building looks like a house to me. I asked a colleague about this today, and while she did not know, she gave me the name of someone who probably would. I am following up. And I have the answer of where the road was at the time of the photo, as in exact location. Straight from the mouth of the person who was there. But first, I will prepare a sketch from the current map location so you can see how it fits it, and why. He found the photo from the brochure “very interesting.” It might even deserve it’s own post now that I think about it. I began searching archived highway maps for Mississippi, and 6 is shown north of University through 1965. The archives skipped ’66, but ’67 shows a bypass where the current highway 6 runs, and south of University on the map. Checking the newspaper archives between ’65 and ’67, I discovered the 6 bypass was opened August 6, 1965. The highway ribbon was clipped by Mrs. Barry Brown. Her late husband had designed the road when he was Batesville District construction engineer for the Mississippi State Highway Department. Fascinating! Thank you, Suzassippi! I was wondering if it wasn’t going to be W. Jackson. When I was looking at the campus map, it seemed so natural that it might be. Did you find out what the building in the distance was/is? Oh, and W. Jackson and University Ave. are still labeled as “6” on Google maps. That’s what I thought, too. May I posit, since I’ve already been wrong once, that this photo was taken from the other side of 6/W. Jackson from Sorority Row, possibly from the roadside park? 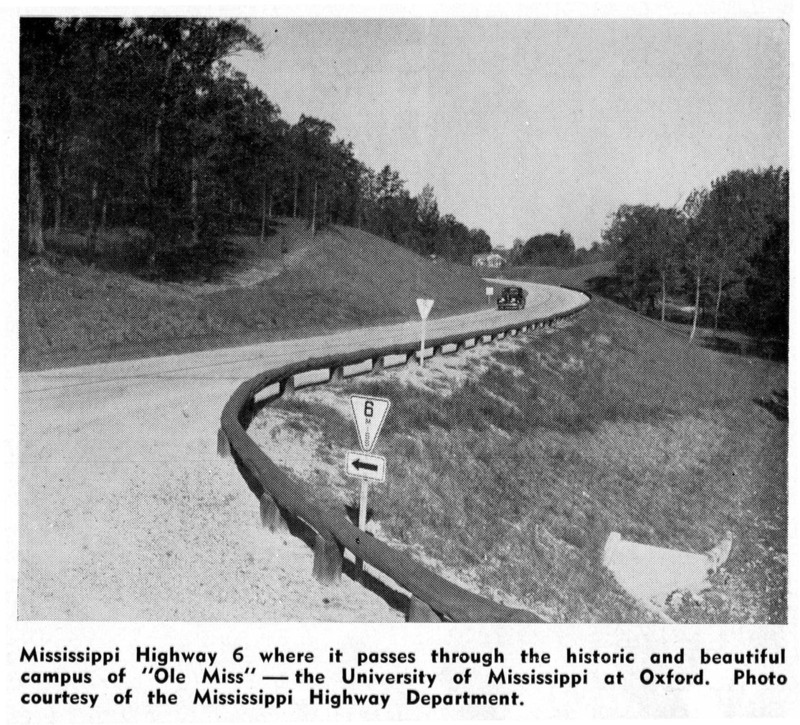 I base this on the curve of the road and the slope of the hill; the Ole Miss side is the hill and the drainage ditch and culvert are probably still there on the Washington Ave. side. I think that house was approximately where the Lutheran Church or the Wesley Foundation is now. Of course you can posit. I do not think the direction of where 6 was pointing direction-wise came up, or I might have been so surprised and pleased someone cared enough to call me in response to my emailed question…I know Mr. Knight mentioned the twin tower dorms (by Rebel Drive) and the extension of Washington Avenue, which I was madly scribbling notes about. I have looked at the photo and the map so many times, and “virtually driven” 6 between Washington/Sorority. I guess nothing is left to do but call Mr. Knight and ask if we can look at that on a map and meet in person. I love that when I am trying to figure out something like this–not being my expertise as I generally point out–that so many of you are willing to help when it is your expertise. ‘humming gins’ and ‘colonial homes’—-! what about ‘lochinvar,’ out from pontotoc? and, good looking art moderne jr high school in tupelo. is it still standing, and, in use? Both Alcorn State College and Jackson State College were operating in 1941. Hmm, I thought Jackson College didn’t become Jackson State until 1942? But I need to look that up again. Could be 1941. 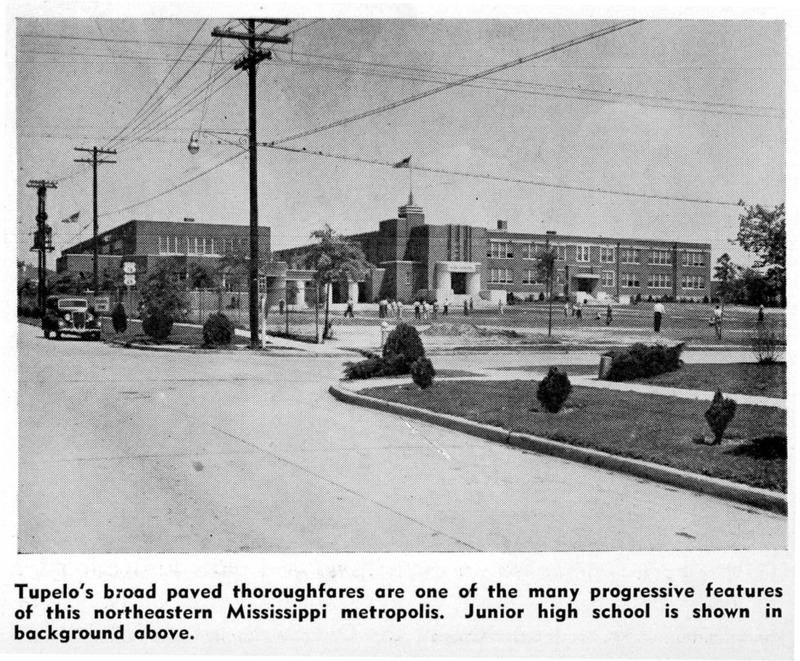 The state took control in 1940.
thanks for the illustrated link to the current milam elementary school in tupelo. glad it’s still with us and in use–as a school! Has Congressman John Rankin met the same fate of governors Paul B. Johnson and Theodore Bilbo… to be stricken from the record of our ancestral history by the Winston Smiths at MDAH? And if the recent legislation just passed by South Carolina isn’t challenged by the ACLU and the SCOTUS, I see a time when challenging the “court historian” narrative of the events of our history will land one in prison or faced with court-imposed stiff fines. Our Mississippi legislature followed SC with Secession legislation in 1861.. god forbid our legislature introduces Nikki Haley’s New South legislation. In 1926 my grandfather moved his wife and family of nine children from Crawford to Marks to work as a blacksmith on a cotton plantation in Quitman county. 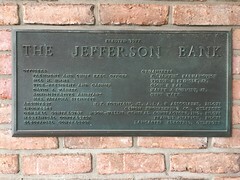 When the levee was breached on the River in April, 1927, he had to rescue my grandmother and the brood of nine children by a rowboat from high ground where they had been stranded by the high water. He loaded them on a T-Model Ford and headed for the hills of the Prairie. During the trek through the flooded roads, my grandfather and uncles waded ahead to keep the T-Model between the ditches with my ten-year old father at the steering wheel. The Model-T lost power as as they tried to drive up the hill at Greenwood, partly due to the passenger load and also due to the gasoline tank low on fuel. So the family disembarked and the T-model put into reverse and backed up the hill. The T-Model had a gravity-fed fuel system with the gasoline tank located beneath the front seat. Sadly, I had not been aware of John Barry’s 1927 Mississippi Flood book to have asked my father more questions. My father’s oldest sister returned to attend graduation exercises at Marks School. I cannot recall if it was in May of that year. After reading Barry’s book, I cannot see how that life could have returned to normal so soon after the flooding.